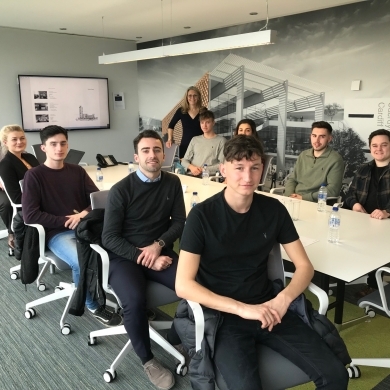 Powell Dobson were delighted to welcome the students from Cardiff Metropolitan University to our offices last week for a practical education on the day to day running of an Architectural Practice. The Practice visit is intended to create an opportunity for students to develop a basic understanding of professional practice in context of the rapidly changing role of architects. It is also hoped it will prepare them for their year out experience.